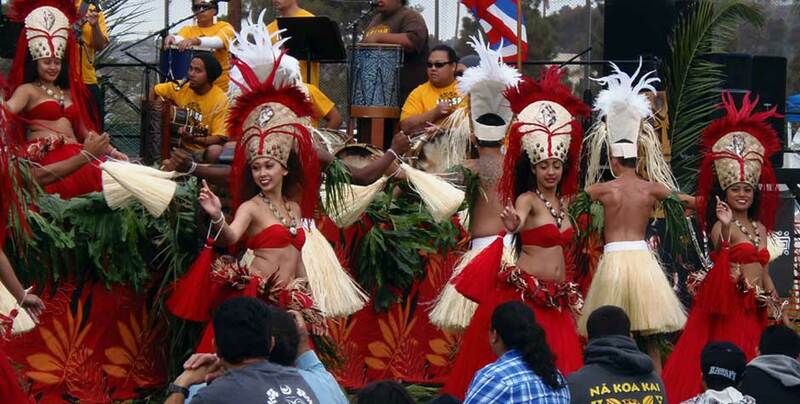 Every year in the Month of April Hawaii comes to Southern California once again by way of Nā Koa Kai Canoe Club’s Hawaiian festival known as the San Diego Shaka Fest! This festival is the fusion of Hawaiian Culture, Arts, and Athletics. This event will once again encompass the Keiki Heihei Waʻa (youth canoe regatta), Stand Up Paddle races, and the Hawaiian style festivities on the land. This year the events on the land will also include a focus on health wellness for youths. 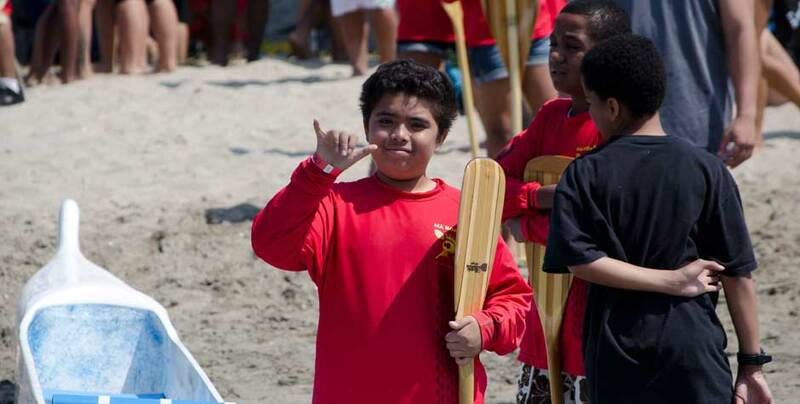 These festivities and events are all part of the San Diego Shaka Fest. The festival will start with a traditional Hawaiian opening ceremony on the water with youths reciting an ancient Hawaiian chant in two outrigger canoes. 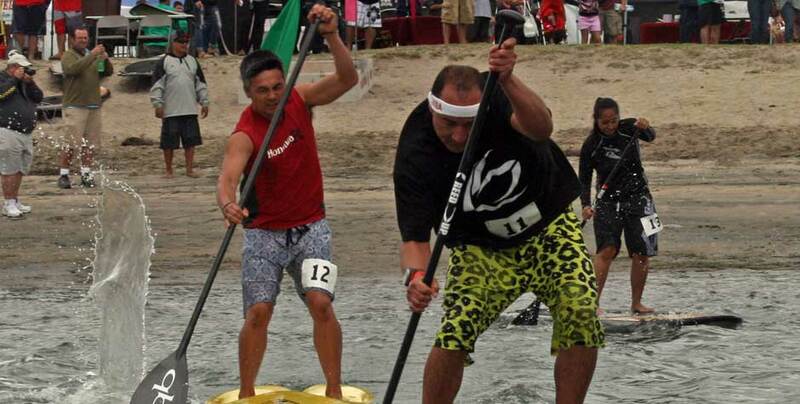 Following the opening ceremony will be the first 4-mile long stand up paddle race for all youth and adults known as the Stand Up For The Kids SUP race fundraiser. Then the youth only events start with the first 4-mile long Hawaiian outrigger canoe race which includes teams from as far away as Hawaii. Then the third annual Keiki Heihei Waʻa (youth canoe regatta) begins. Youths then race their canoes on a straight 500 yard course with six lanes marked by buoy flags with race turns in front of De Anza Cove. This is a very spectator friendly event and great fun for the entire family. While the youths are competing in the traditional Hawaiian way in their six-person Hawaiian outrigger canoes, hula dancers, drummers, and ukulele players will be performing in the park entertaining guests. Health Wellness information booths, Stand Up Paddle Vendors with demo equipment, and Outrigger paddling vendors will also have booths at this festival. As a 501(c)(3) nonprofit organization, Nā Koa Kai Canoe Club’s mission is to develop an appreciation of cultural heritage by educating their youth about the Hawaiian and Pacific Islander culture through language, hand crafts, chants, prayers, and ancient History of Hawaiʻi in a safe, healthy and nurturing environment. And to teach their youth the importance of maintaining a healthy and active lifestyle by combining wellness education including sound mind & body. 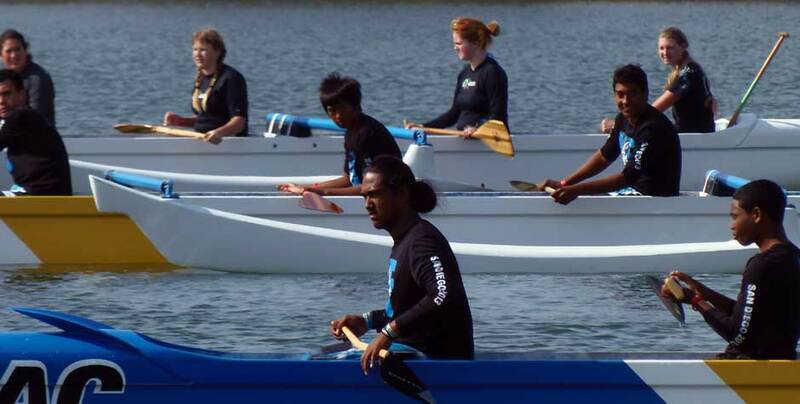 And by preparing and encouraging them to participate in competitive outrigger canoe paddling and races. And…you’re invited! All credentials media representatives are encouraged to report, film, or photograph from our safety boats during the races but space is limited so please make your appointment early by contacting Gus Cervantes at 858-449-2078 or [email protected] Please note that this is a fantastic photo opp so please consider sending a representative to capture this great event. For more information on the Festival or to request additional media materials, please contact me at the phone number or email address above. Thank you for your interest in the San Diego Shaka Festival! Nā Koa Kai Canoe Club, Inc.